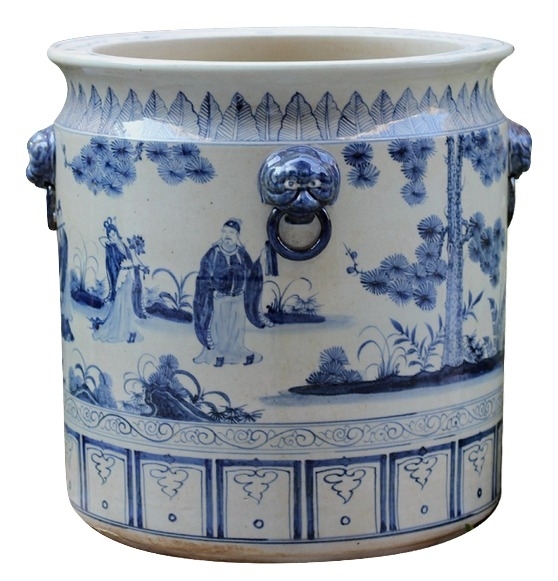 The June porcelain container arrival sale is on and a GIVEAWAY! Hello friends! If you are a blue and white loving fanatic like myself, you will be mighty happy that you stopped by today. 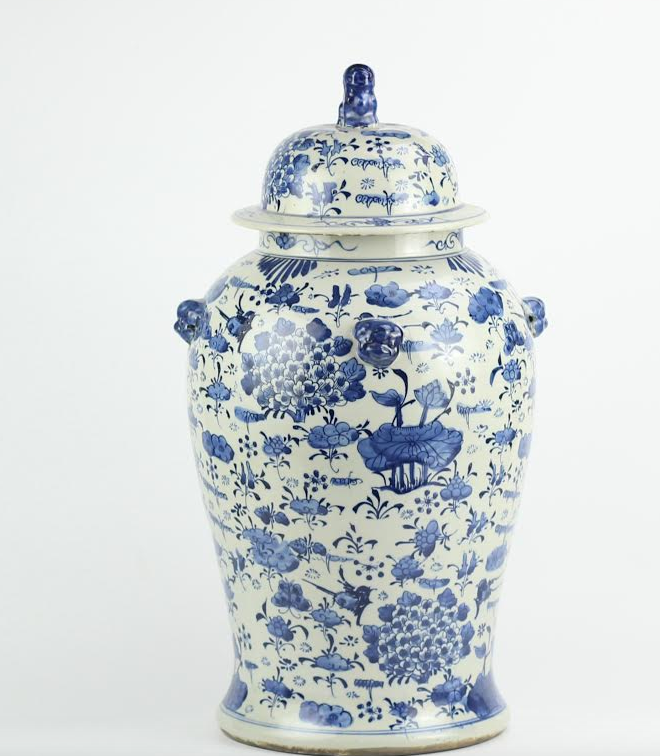 Our June container has arrived and you would think I have never seen blue and white loot before, so gorgeous! The last few of the presale orders are shipping out today and we are up to speed with those. So now it’s time for the two day arrival sale as we always hold, when a new container arrives. ITEM 1 The white tulipieres are back….finally. By popular demand now offered in all three sizes- small, med and large. This is a beautiful and highly decorative item, perfect for spring/summer entertaining, works with every color flower under the rainbow! ITEM 5. 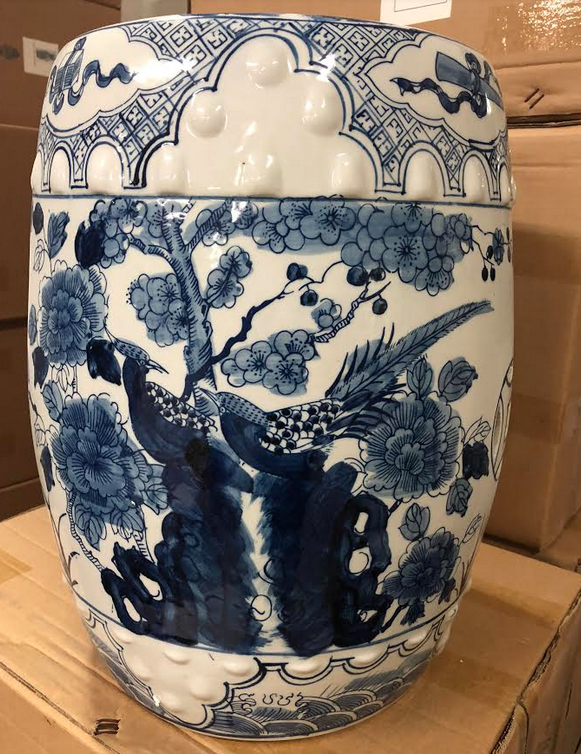 This incredible and very majestic vase is here! I saw something like this in a shop in NYC about a month ago with a price tag of $1500. 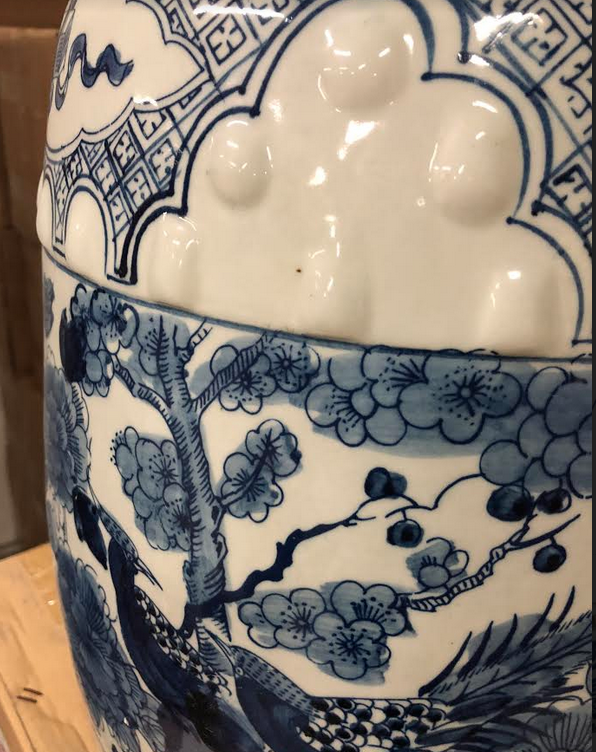 This is a really grand vase with amazing details, the raised bump detailing, gorgeous detailed handpainting and beautiful butterfly handles. Here are pics of the actual seat which shows the colors a bit truer…it’s a beauty! ITEM 8. Our chunky ginger jars have come back in stock, these are always so popular that we doubled up on the amounts we normally order. 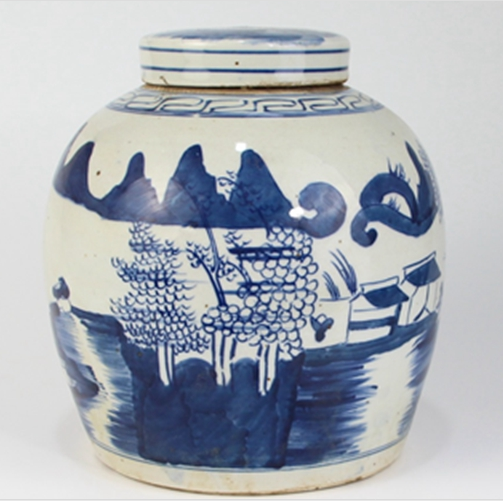 These are just the quintessential ginger jars, handpainted with a beautiful foo dog top, the shape is so beautiful. ITEM 12 The super popular Ralph vase are back in stock and we have all three sizes including a great new size…medium. 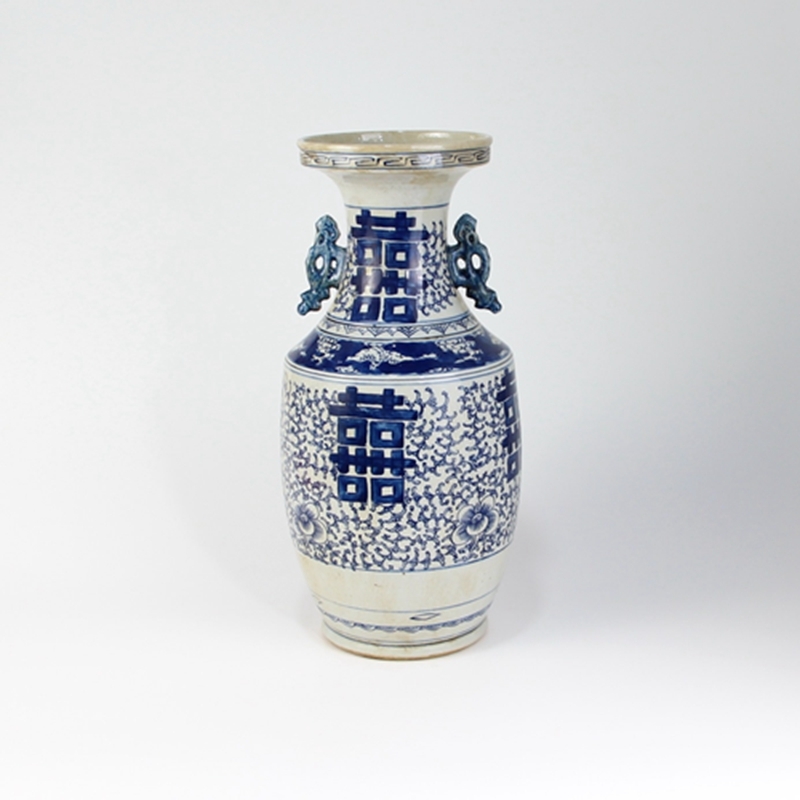 So now this gorgeous vase is offered in three sizes, small, medium and large! 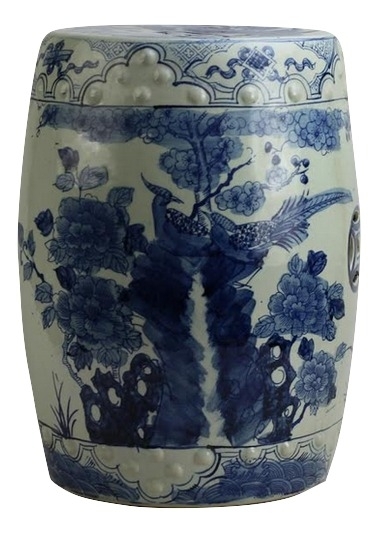 This is one stunning vase for a big spray of flowers, branches or fresh flowers. ITEM 25. Our best selling English inspired planter box is coming back and yes, we doubled the quantities to insure everyone gets one this time around. 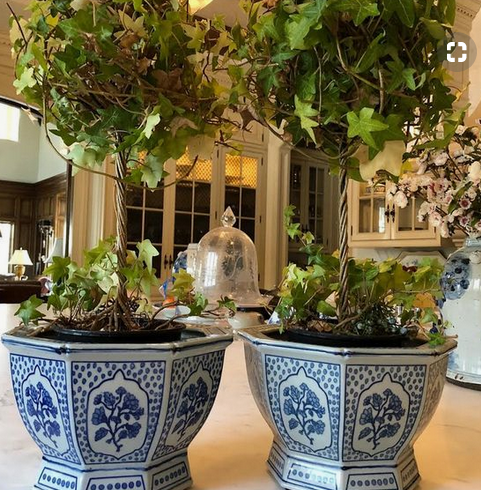 These are so so beautiful , designed after an antique planter and it is planter perfection in my book. And surprise surprise, a few items slated for our next container came in early, a great surprise!! ITEM 28. 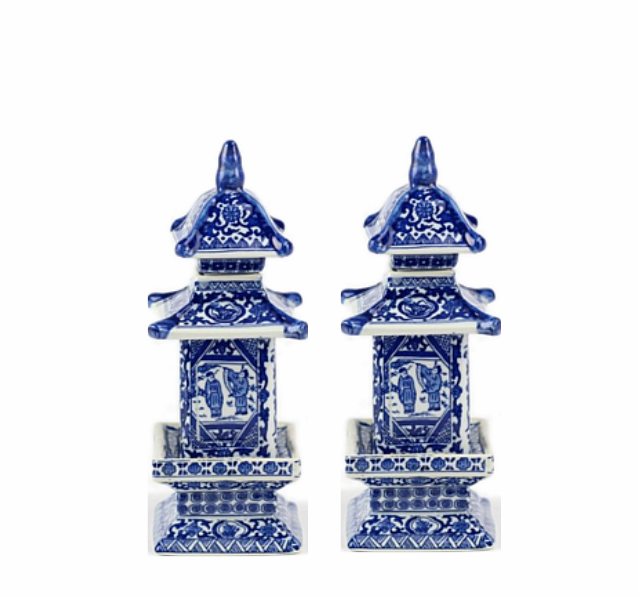 The darling mini pagodas are back, these are so easy to use and the perfect finishing touch for any vignette, also makes a great pair of bookends. 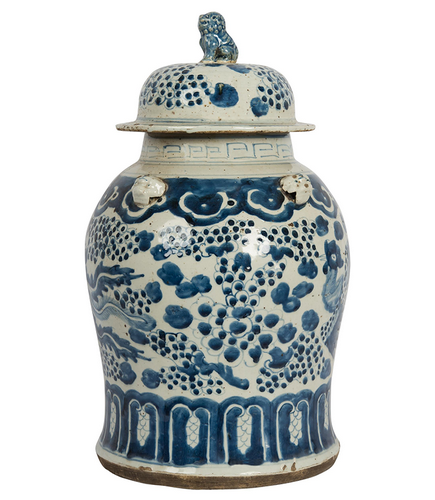 We always celebrate the presale with a porcelain giveaway…..so one lucky winner will win this wonderful village scene flat top jar. Just leave a comment on this post and you will be in the running! I will announce a winner on Thursday, so be sure to check back! Well, that is a whole lot of blue and white beauty if you ask me! This never gets old and has me thinking of all kinds of new vignettes I want to create:) So you know the drill, if you want to place an order there are two ways to do so- email or call. Thanks for stopping by, wishing everyone a wonderful day. Hope you are enjoying your summer, a little blue and white might just make it a little bit sweeter! Until next time…..
Blue and white has always been my favorite! I love looking at your pictures for beautiful inspiration. Always look forward to your posts thank you. 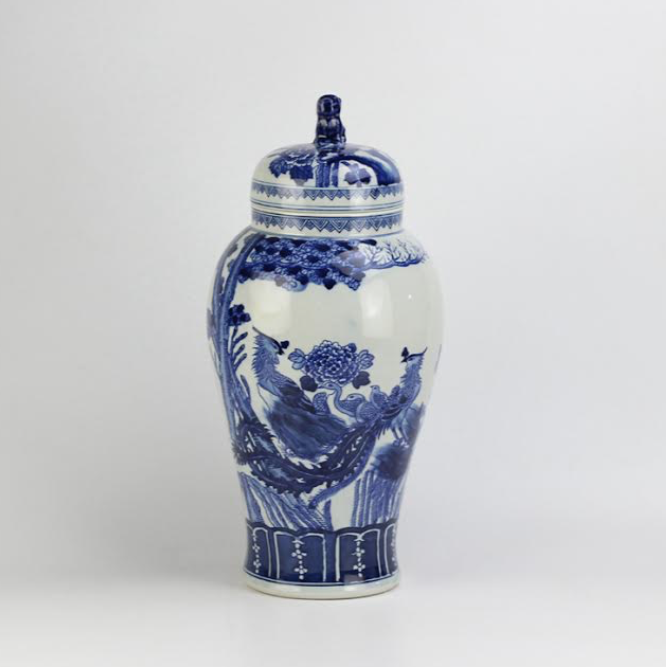 Can’t get enough of your gorgeous blue and white porcelains! Always ready to add to my collection! 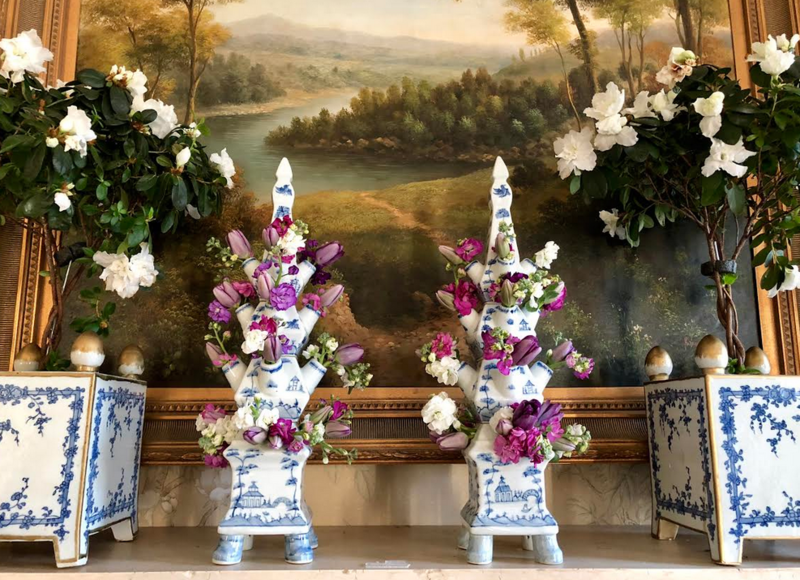 I love the Ralph Lauren vases! The mini pagodas are so cute, too! I really enjoy using my tulipieres. Love all the blue and white!!! Beautiful arrival pieces …. love the variety of fishbowls. Happy summer, Tina! So many beautiful treasures this time! As usual, I love every piece ! Love the garden stools! Very versatile! 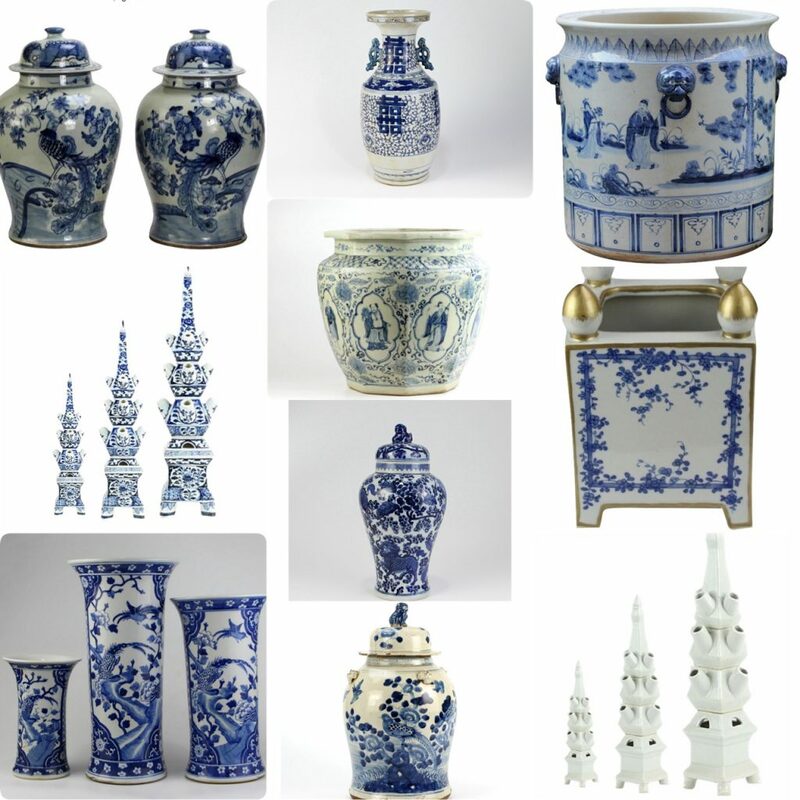 So many wonderful blue and white collections. I love,love the fish bowls. Trying to talk myself out of ordering one since I have over extended my stash cash for home things. Everything is just so pretty, how could you pick just one! I love every piece of blue and white! So much beautiful temptation. I love everything you have to offer! OK this is a problem because I love every single piece on this page ! I must say today I am really liking those beautiful fish bowls and can visualize a couple of them on my patio – I own the Tulipieres in 2 sizes and just love them- thank you for bringing such beautiful pieces that are affordable, your prices cannot be beat anywhere !! 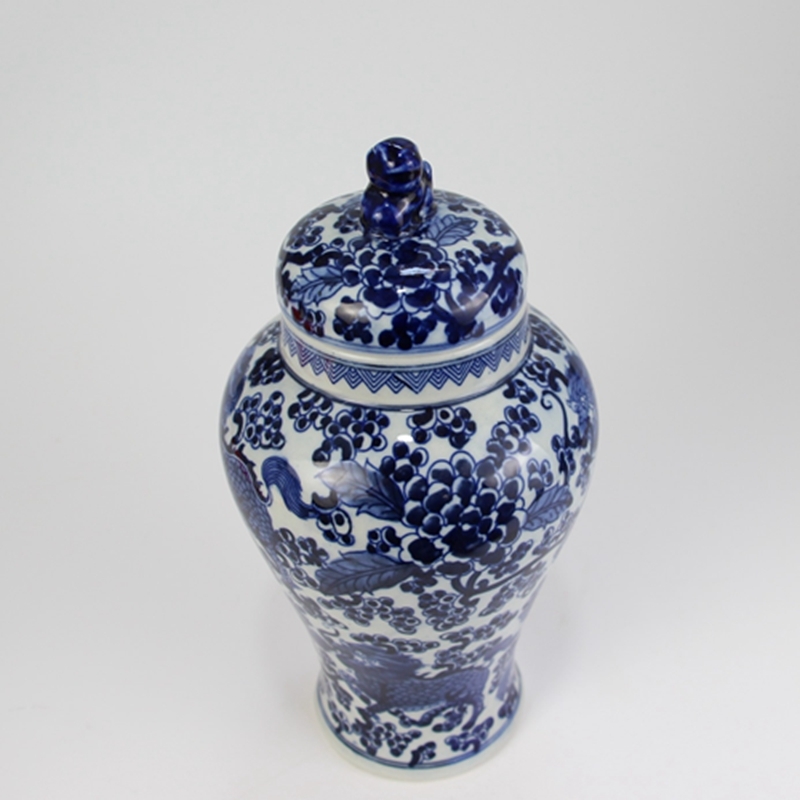 You have the best selection of ginger jars! My favorite is the Christmas ginger jar ornament! Everything is fabulous!! !Always enjoy looking!! Once again, beautiful blue and white. Always love to see the new items! In EC’s case, Tina, your blues never depress me–they make my heart sing! Such a lot of classic beauty. Thanks for lifting my morning. In EC’s case, Tina, your blues never depress me–they make my heart sing! The mini pagodas are adorable! Oh my goodness, what beautiful pieces. I am ordering the blue and white beverage holder. I love the idea of being able to have a handle or not!! What a treasure trove of blue and white. Everything is a winner. Everything is so beautiful…hard to choose. 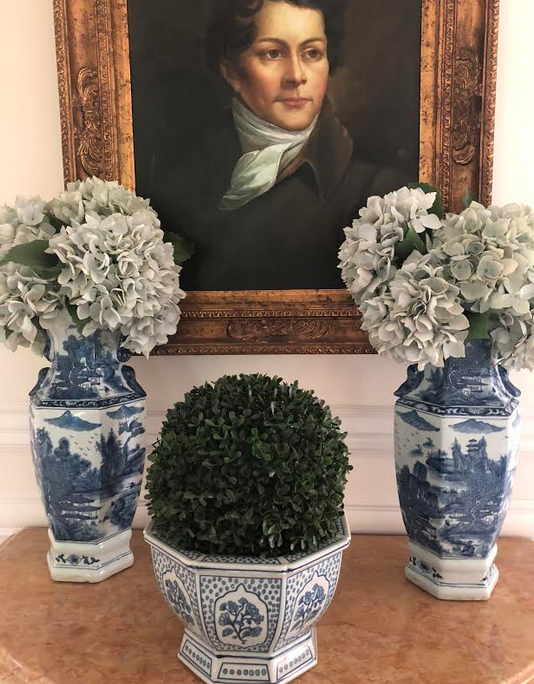 I just moved and have not even unpacked everything, and I still want several of the “Ralph” vases. I couldn’t resist your 4th of July sale and ordered a lamp. (My second) I am so tempted to order again. The things you carry are so superior to anything I can find as far as quality and price. Please keep doing what you are doing. You are my home decorating go to! Best selection in the market! Love 18 and 23! All beautiful! Thanks! Giddy over the straight fishbowl………. Love the garden stools and the wine cooler/ice bucket. 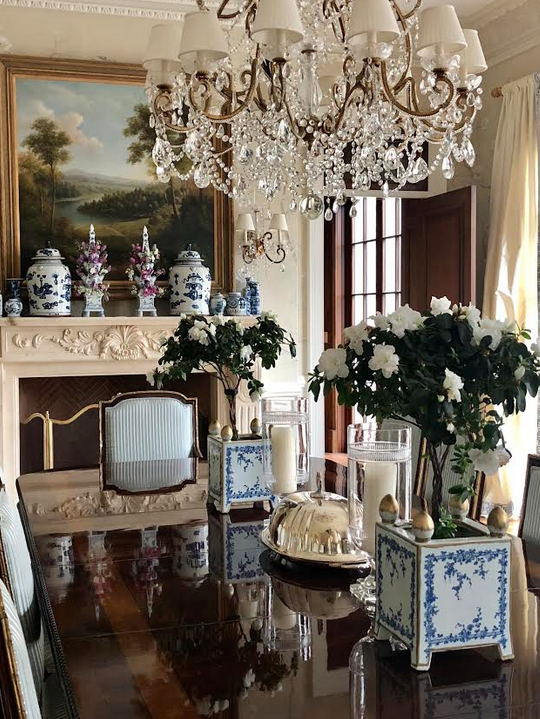 You are so talented and I love the versatility that you express through your blue & white decor. All of your arrangements are beautiful and are so inspiring. Look forward to seeing your future work. Thank You! – for your ever generous sharing. Blue and white heaven! Thanks for the possibilities. 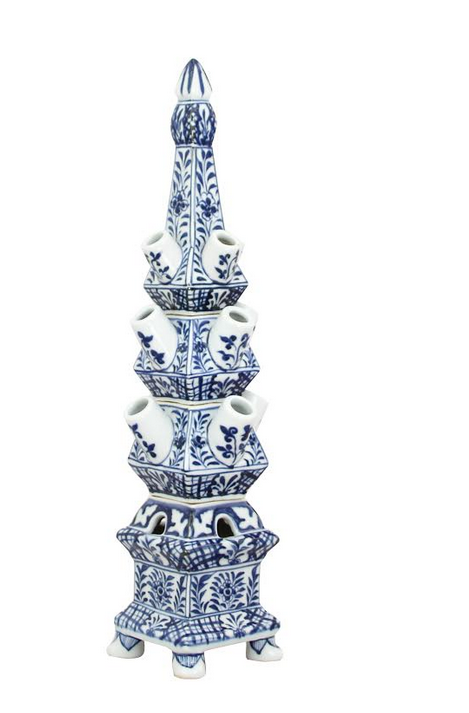 How tall are the mini pagodas? What a lovely selection! Sop love everything you have especially the garden seats. 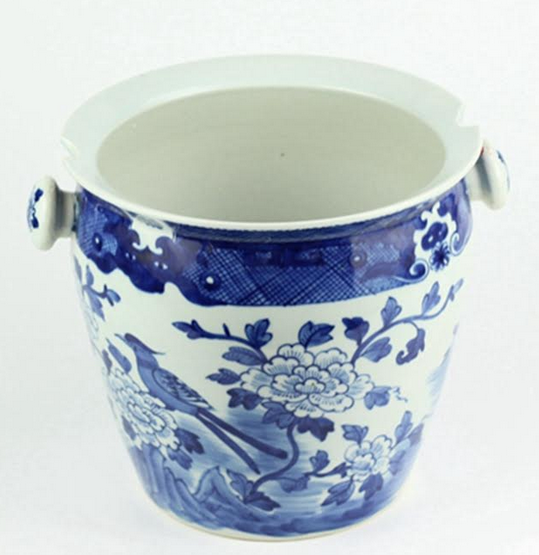 The blue & white “wine bucket” is lovely! 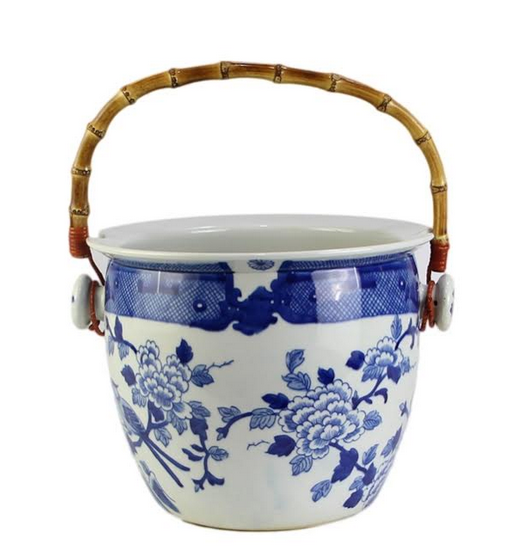 I’ve always been a fan of the gorgeous garden seats, but the new wine bucket with bamboo handle has me swooning!!! I really look to you for inspiration! I think I could find a place in my house for every piece in your collection! Wow! I ordered on the pre sale and now I want more pieces! So hard to choose because I wish I could have just about one of everything!! So much to love here! 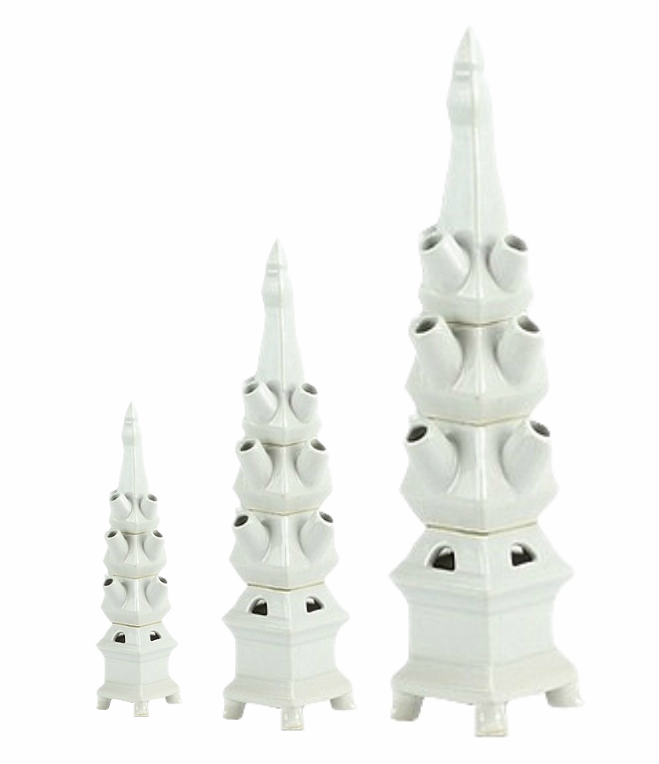 How tall are the Mini Pagodas? Love all the pieces! 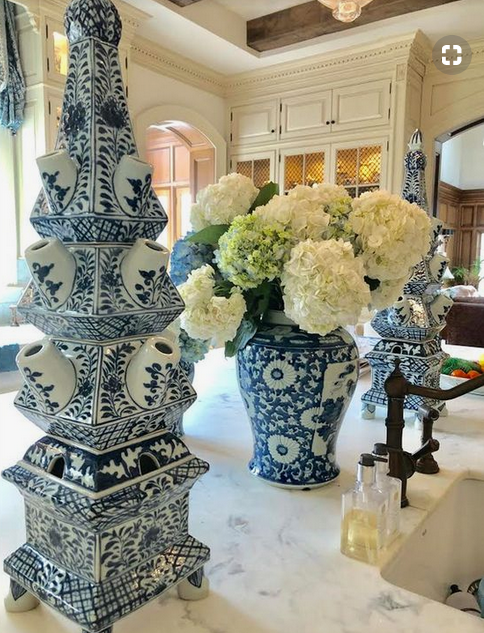 Blue and white is so right no matter where you put it in the house or outside! I save many of your pictures. They are always pretty. Love it all! Especially love the ice bucket. Love it all! Can’t wait to place another order. Always so excited when I read your blog. Everyone has something special in it that touches my heart. 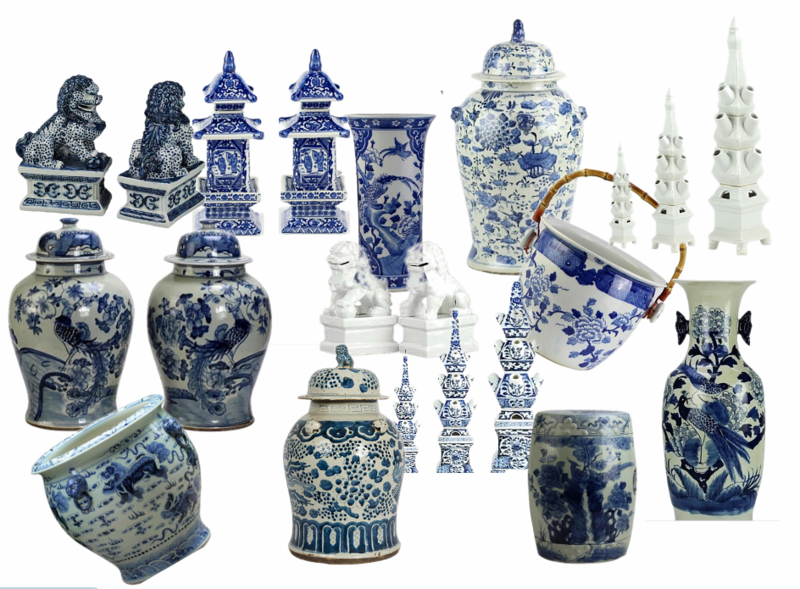 I have several of your blue and white pieces and love them. 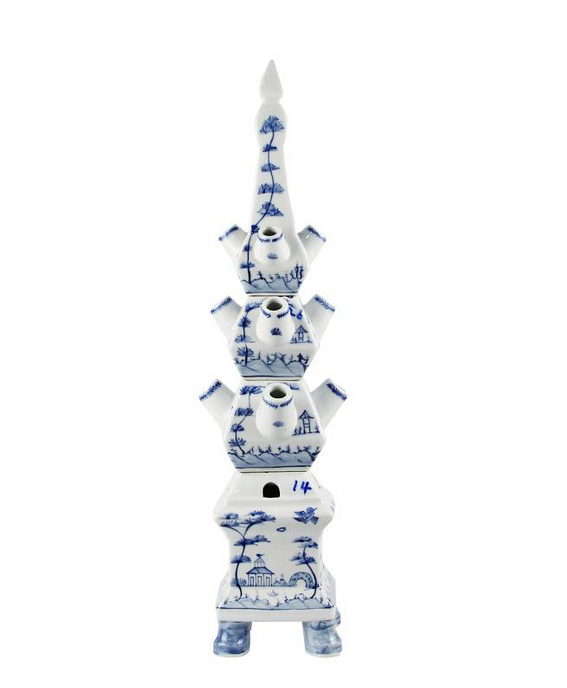 Tina, Just when I think you’ve provided us with as much blue and white as our hearts could desire, you discover new and wonderful pieces. I, for one, am never disappointed! The only problem is deciding which piece I want to add to my decor next! Thank you for all you do to help us fill our homes with such beauty and elegance. So many great options but I have my eye on the Ralph vases. So much to love! I think an order from me is going to be on the way Tina! 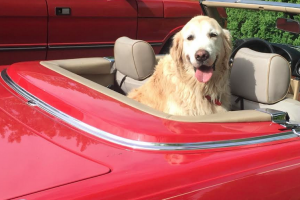 Love the photo of Teddy in the bright red convertible! He looks like he is ready to take a ride, for sure. All the items look great and it really helps to have photos of them in use. A more accurate idea of their size and use is really helpful. Hope your week isn’t too hectic and that you are in a Palmetto Bluff state of mind. 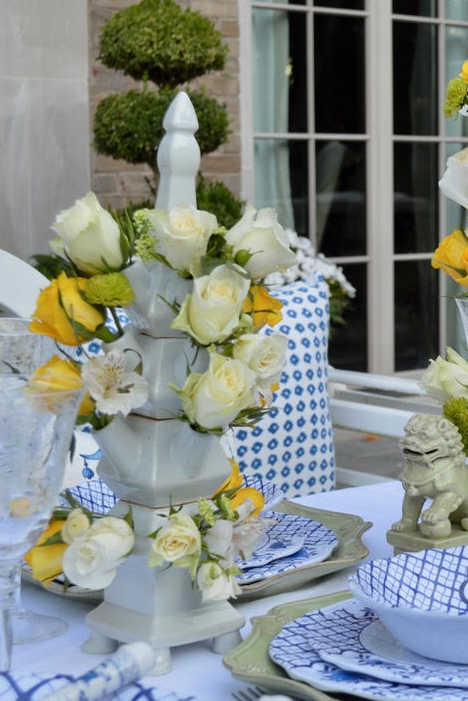 Oh my, so many wonderful items….LOVE the ice bucket & garden stools!! 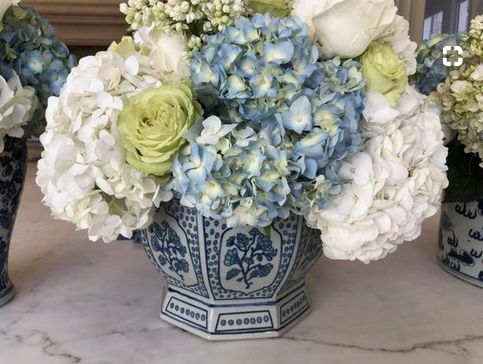 I always love seeing all of your pretty blue and white vases and other items! 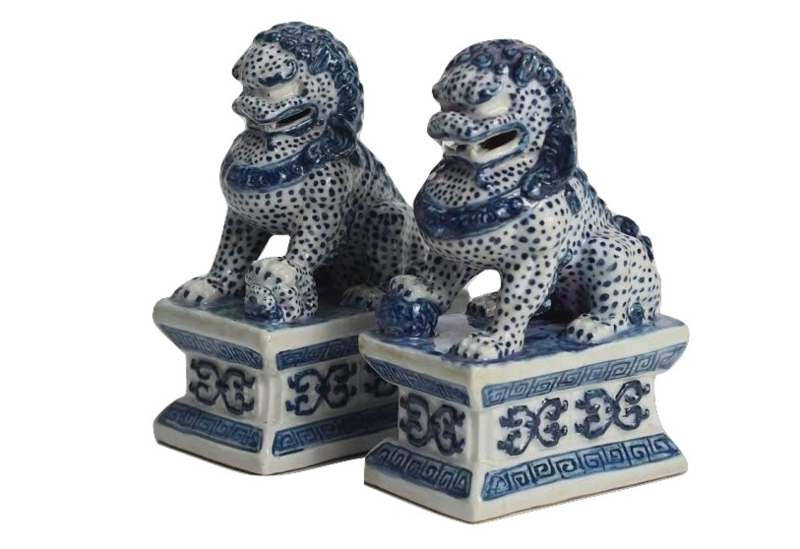 I love the blue Foo dogs! 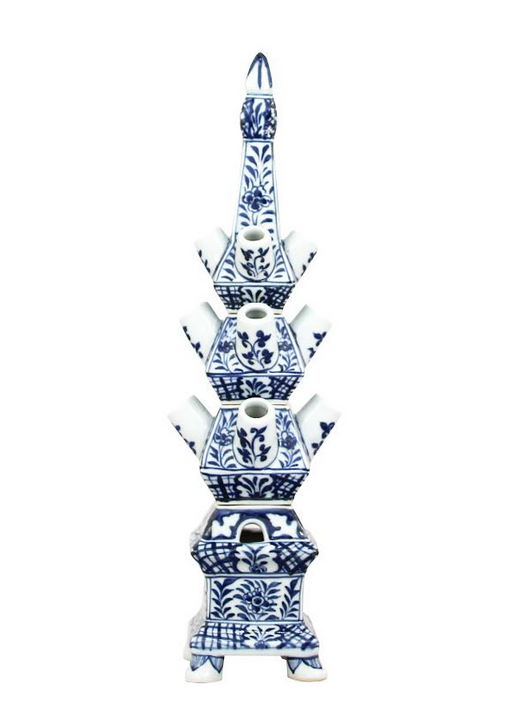 Love the new Double Happiness vases, so beautiful! Everything is so beautiul! 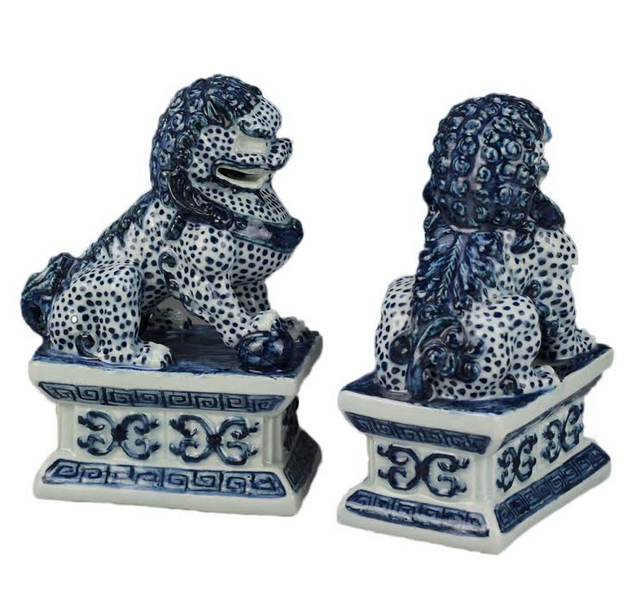 I’m waiting for my order of the blue and white foo dogs, but now the mini pagoda’s are calling my name! I wish I could have them all but the ice bucket/wine cooler is my favorite today. Fantastic! Great way to start off my morning! Great collection, trying to decide is hard! Everything is so beautiful, it is hard to choose!! Love 3, 4 and 25! Gorgeous happy blue and white. 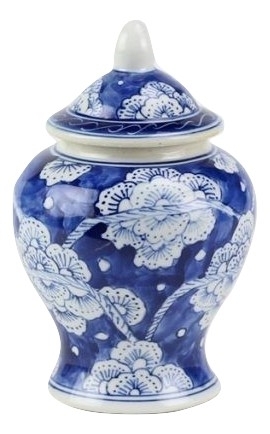 Again, so much LOVE 💙🏯 in this latest container of porcelains! I keep looking around imagining where I could use a certain piece! I LOVE the selections of bell jars—new sizes and designs and our favorite standards. I have so many of each! And you’ve just gone crazy with the tuliperes and pagodas. I love it all!! Your blue and white posts always brighten my morning…so many choices! Love the giveaway jar. 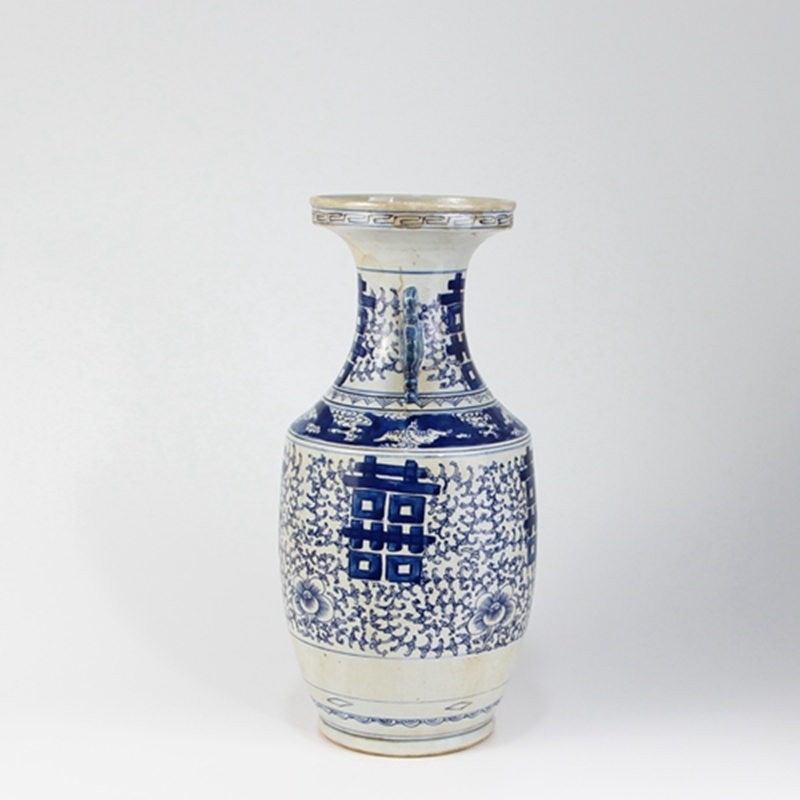 My favorite of the new items is the double happiness vase. Everything in the shipment is lovely! Blue and white things are like potatoe chips- you can’t just have one. Unfirtunately I only have so much money and limited space. At least I can enjoy the pictures! Such a classy website! 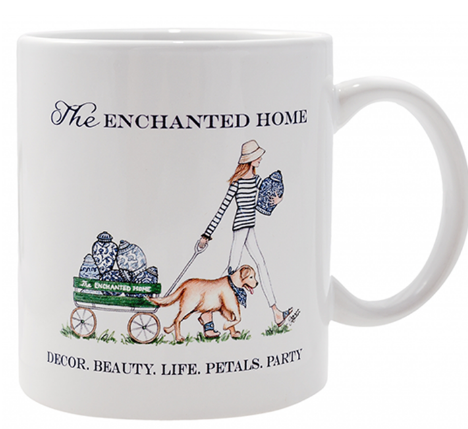 Love viewing your items, home and parties! Happy Summer! So gorgeous I just had an out of body experience!! Thank you for the inspiration!! I’ve been obsessed with blue and white forever!! I always love the blue and white garden seats! So many truly stunning pieces! I really love the all-over floral pattern of the last one. I could go crazy with all your buzzy ble and white! As usual, everything is beautiful. 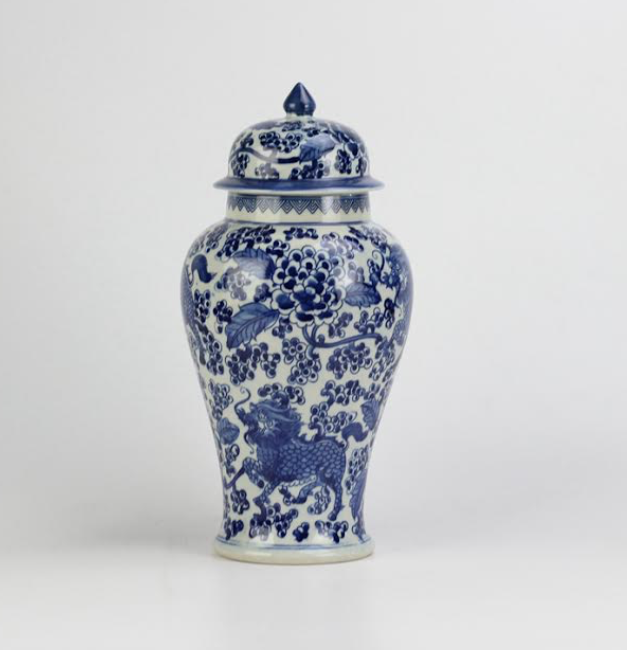 I really like the ginger jar that is in the giveaway. Dear Tina, So many beautiful items to choose from! I love them all and your blog is such an inspiration. I always look forward to receiving them. And I must say, what touches me greatly is your tribute to your dear Teddy at the end of each one. As a fellow dog lover, I find this so beautiful. Beautiful pieces. Especially love the pair of bird ginger jars. And that adorable picture of Mr. Teddy! 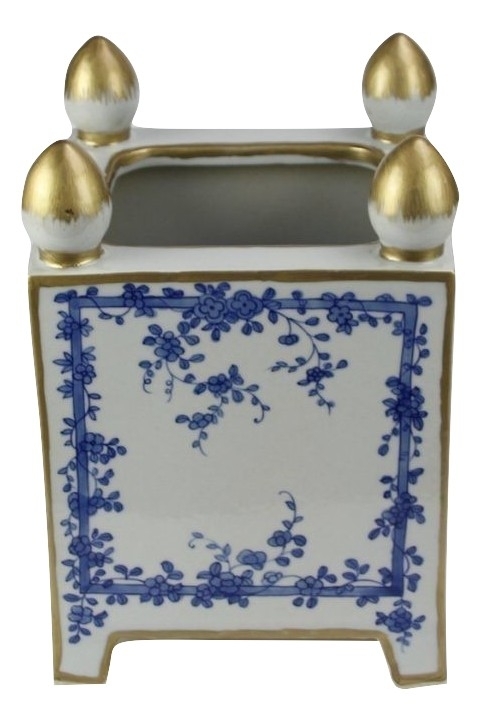 Each piece of the new blue and white container is georgeous !! Everything is so beautiful, just love a beautifully set table, shows how much you love your family and friends that gather around it!!! So many must haves! I have a pair of the large fishbowls with topiaries on my front porch…gorgeous! 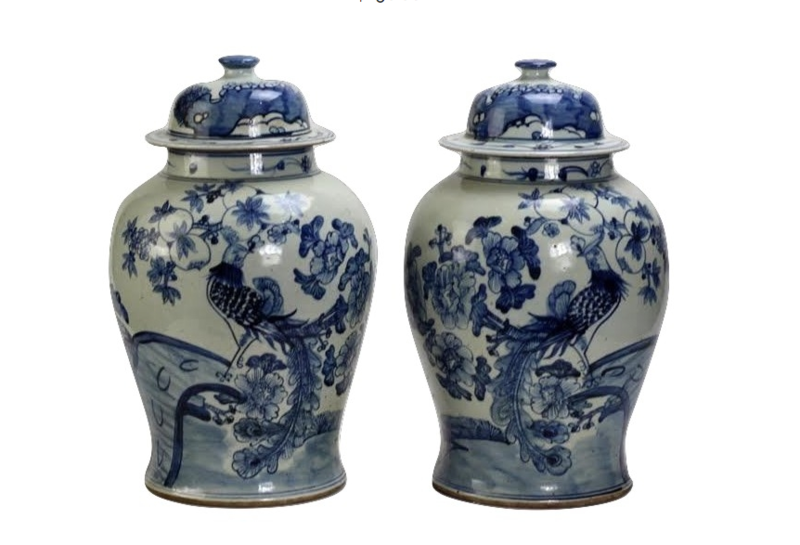 I like to pair these ginger jars on secretaries and armoires! Gorgeous blue and white! Would love to add another piece to my collection!! All of these pieces are so pretty. I really love the Wine/Ice bucket with the bamboo handle. I’m looking at you ice bucket!! That was a beautiful montage of gorgeous blue and white! A real treat! Thank you! What a beautiful collection. I can think of the many rooms I could display them all. 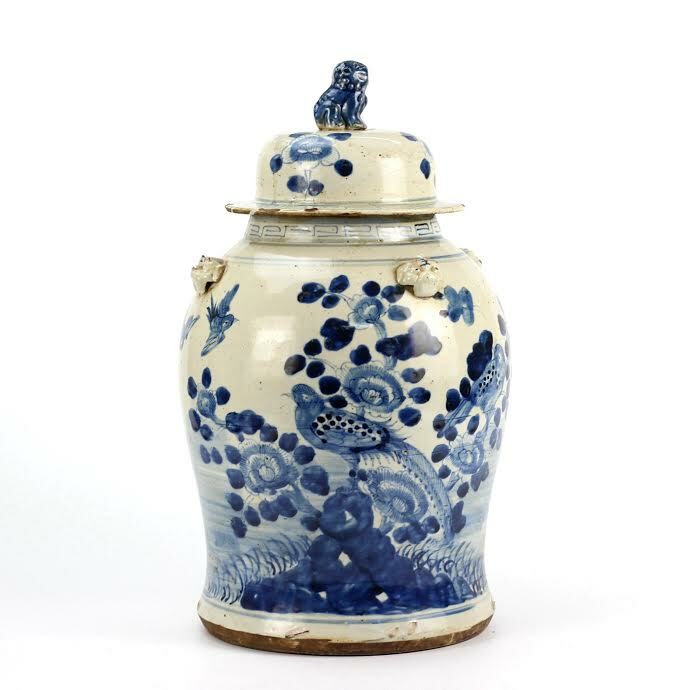 And how adorable is the small ginger jar. It’s all simply gorgeous. Thanks for the great blog. I especially like your series about your second home. Lots of inspiration to get me motivated! Item number 20, very versatile! 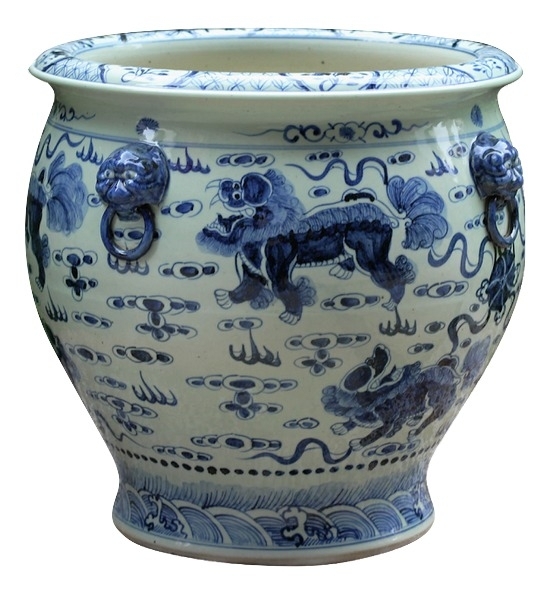 I would love to have the large foo dog fishbowls for the patio. They are beautiful!! 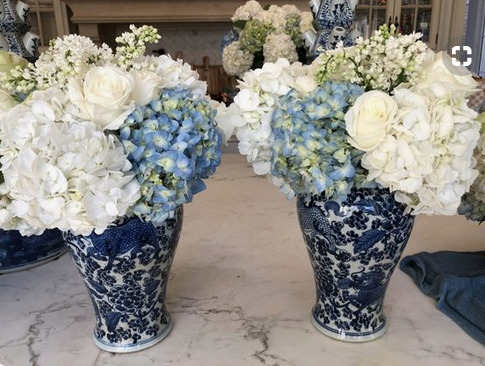 Wow…what blue and white beauties! Love them all. So hard to choose one but I managed to pick first of many for my new collection!! Wow my blue (and white) heaven. 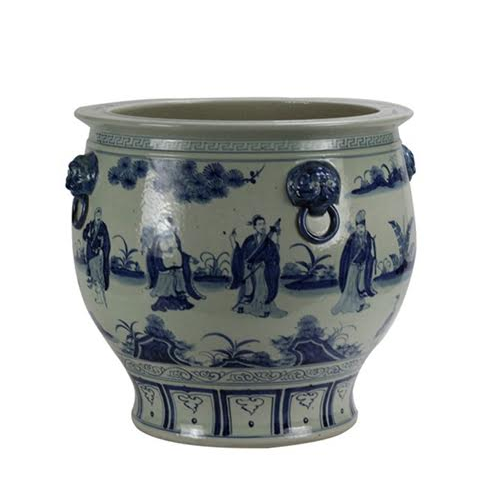 I have a lot of blue and white but yet to have a garden seat or fu dog. 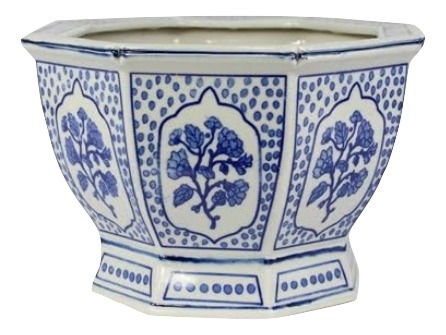 The English style planter is lovely! Reminds me of the beautiful gardens of England. Love your blue & white!!! Now, what should I order???? Love all the blue and white! I started collecting blue and white 24 years ago and I must add to it! love, love, love the straight fish bowl, flat village scene, and ice bucket – that handle! Lots of inspiration here! I loved seeing the pics of pieces in use. Just bought a new house and filling it with all blue and white goodness! Can I buy them all!! Love as always! Every time I think, no I can’t, not one more piece, I am just taken away by every new piece….and oh yes I do……!!! Then when they come and I open those boxes….am so glad I did! Thanks for all the beauty you show us and great price ranges to help those of us who just can’t not open these emails!! Everything looks just beautiful! Great pieces. Love all blue and white. Addiction! So glad to see so many great items back in stock! Items 8A and 11 are two of my favorites. It must be blue and white heaven!!! 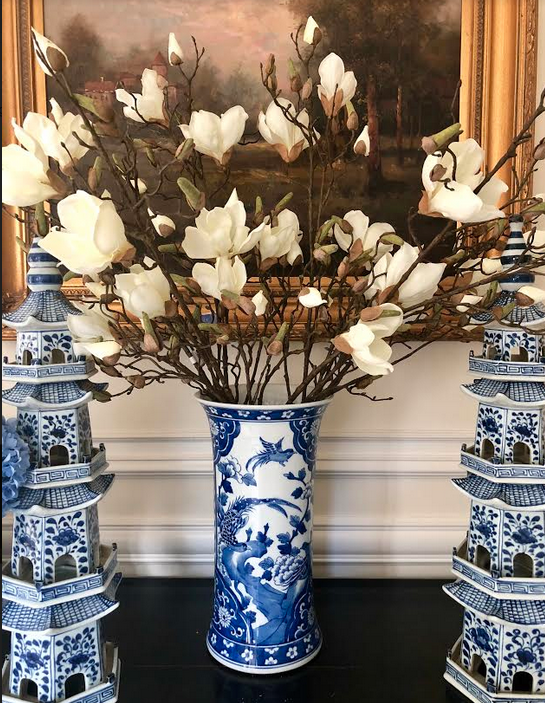 Always, I enjoy seeing the blue and white porcelains in their ‘settings’ with flowers, fruits, and plants like ferns and ivy, just the way I arrange my collections in my home. Next goal as soon as I save up enough money is a garden seat for my little courtyard. 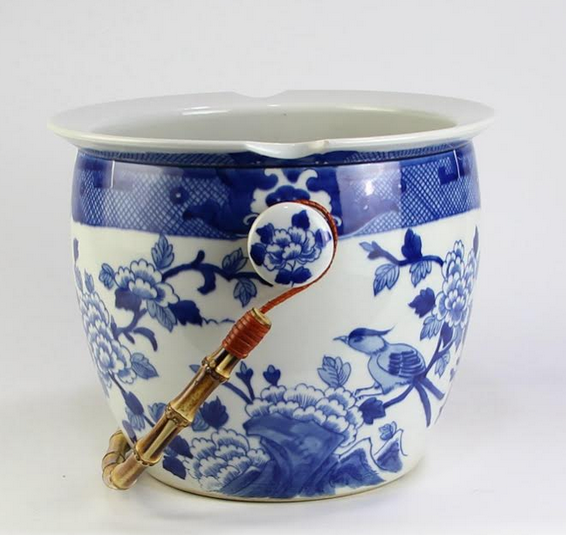 Blue and White porcelains are gorgeous!! I absolutely love all the blue and white! Oh my goodness! Every piece you have is beautiful! Wish I could own them all! 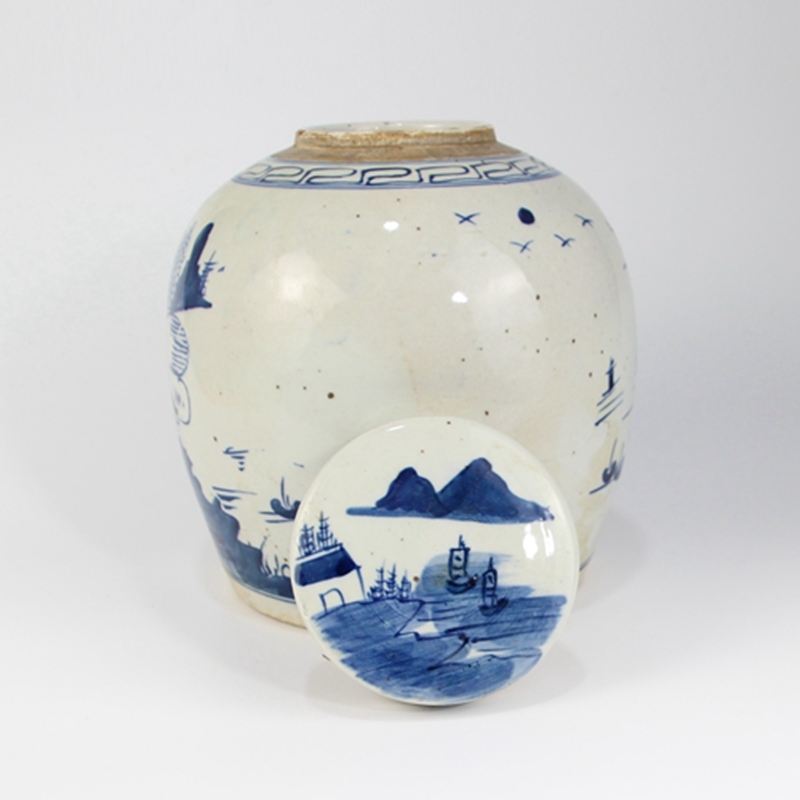 Would dearly love to own that flat top jar if selected as your lucky winner! The mini pagodas are darling. Great idea showing the products in use. Love, love, love anything blue & white! 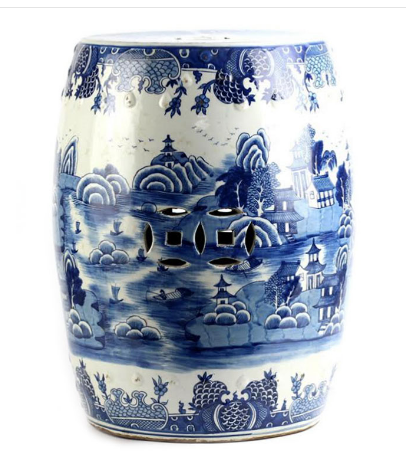 I love all the beautiful blue and white procelain, but my favorite is the garden stools. Fabulous assortment of blue and white. Always eye candy overload. The village scene garden seat is exceptional. Keep them coming!!! Thanks for including the pictures of the items in use. Does inspire. Love ❤️ #25. I hope someday I will get a surprise treat for myself . 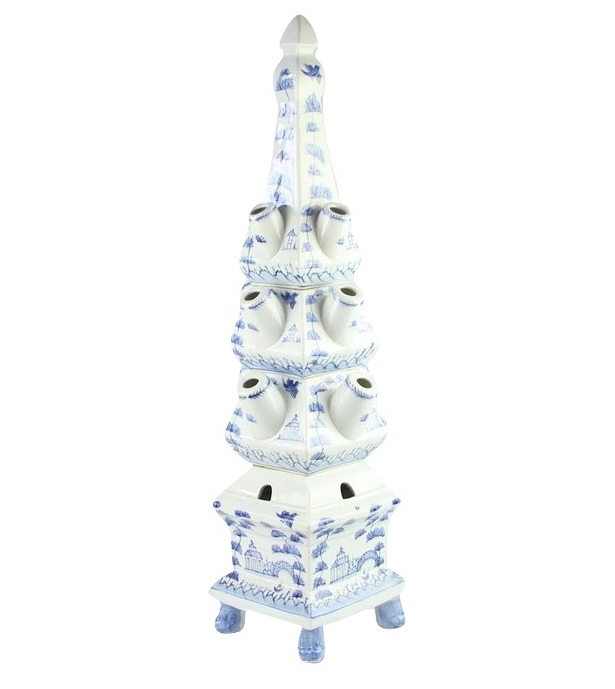 Love the mini pagodas, they would be a welcome addition to my existing blue & white collection on my Dining room table. Started my blue & white collection on a trip to Hong Kong almost 25 yrs. ago. I need more Green to get all the blue and white I want, my husband said I CAN GET ANYTHING I WANT , BUT NOT EVERYTHING I WANT. 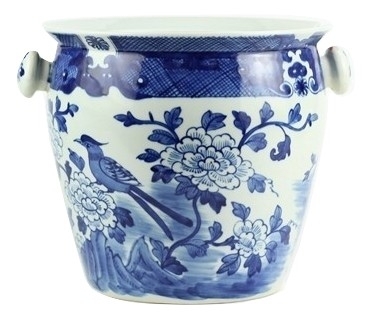 Love the new ice bucket – so cute! Can’t wait to get the ice bucket…could have used it a couple of weeks ago for a party. 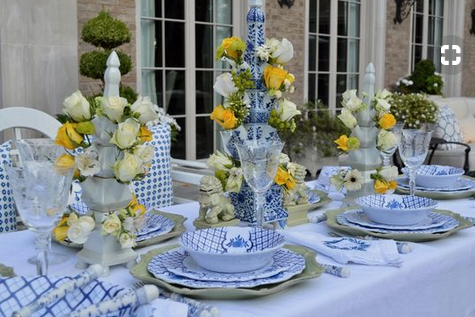 Used much of my blue and white on the patio and it was smashing! Just when I think your selections couldn’t be any more stunning……they are! Each lovelier than the next. 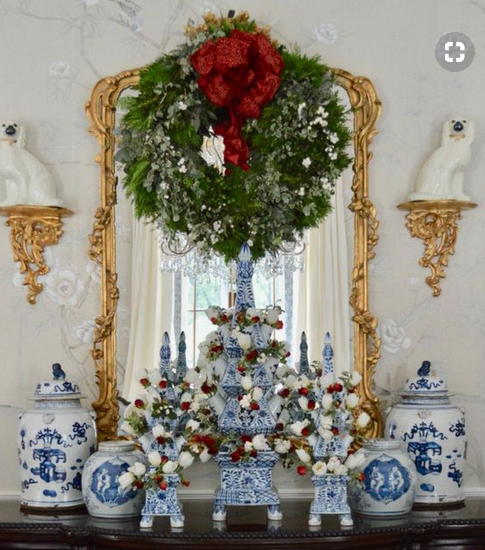 Love your posts and ideas for all blue and white. I am away on vacation but had to stop and read your post. I can’t miss seeing all the lovely blue and white! Oh, my gosh! I am so loving all this blue and white and the “in action” photos…so helpful. Your home is so lovely! Wow these are so beautiful i would love to be able to start a collection of my own. 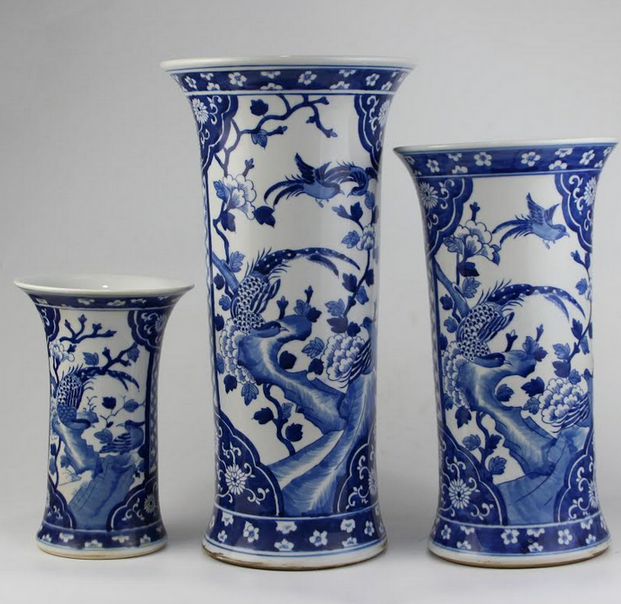 Such a gorgeous collection of blue and white porcelain! 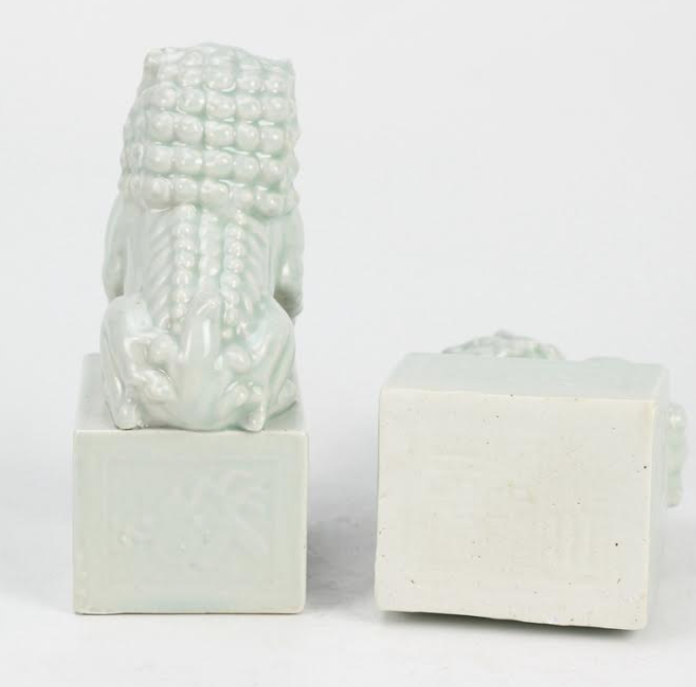 Love your porcelains, as always! I want at least one of everything! Glad to see the Pheasant Vase. Love the pictures. Blue and white = LOVE ! Moving in a few weeks and can’t wait to add to my blue and white collection for our new home. Love the ice bucket with bamboo handle! 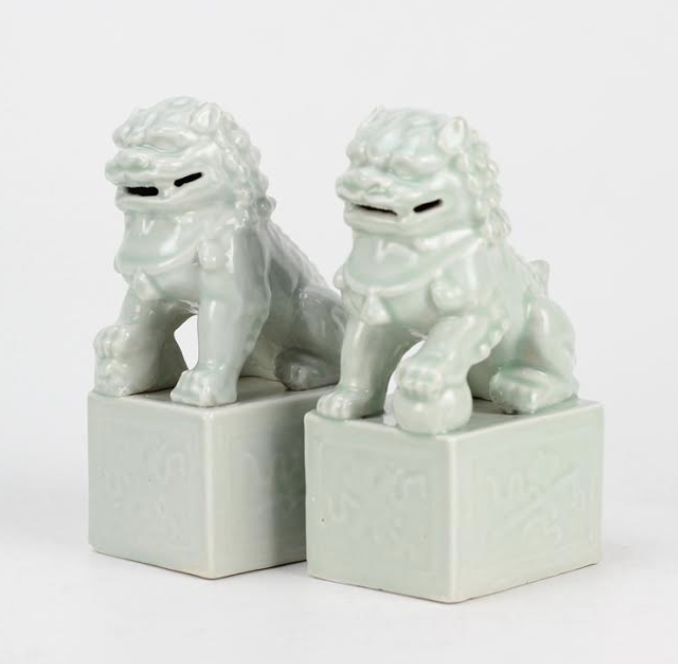 Love the mini pagodas to use as bookends! I love the ice bucket/wine cooler. 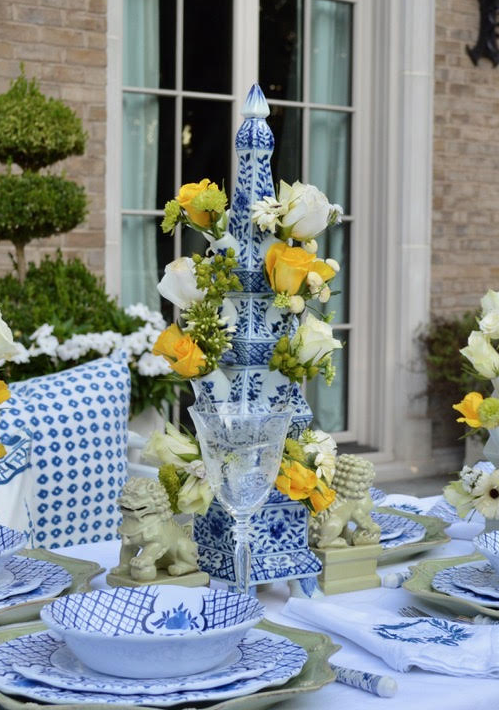 It is really beautiful and is perfect for my outdoor entertaining! 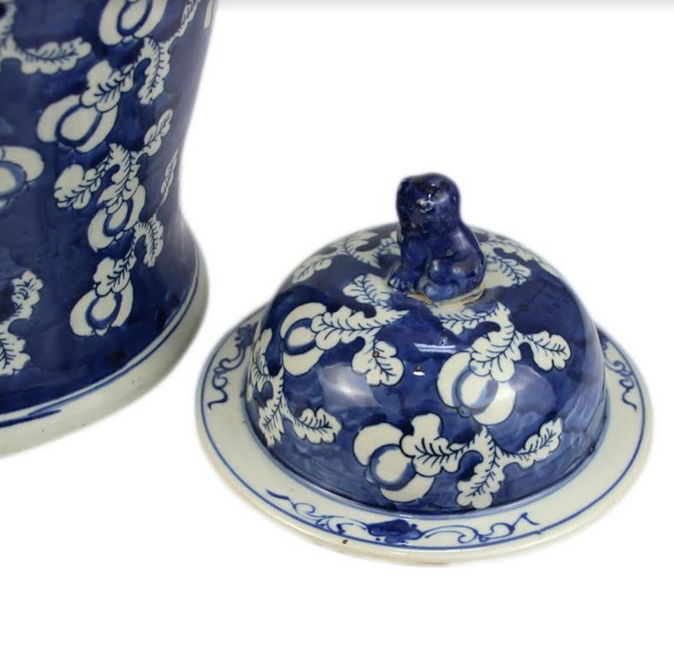 “You go Girl”, love your blue and white vases and accessories. All are just beautiful but I cannot wait to see Item 5 with my Flowering Quince or Mock Orange. Thank you for bringing me beauty every day. Such blue & white gorgeousness!! Love that the wine bucket is so large and holds four bottles! I didn’t appreciate the generous size before! Glorious! Can’t wait to see it in person! Wow! Such lovely beauties! I’m having a hard time choosing. Lol! I like that ice bucket – nice handle! Always enjoy your post and seeing the beautiful blue and white. Will always be a classic. Love them all but especially the village scene tulipieres! 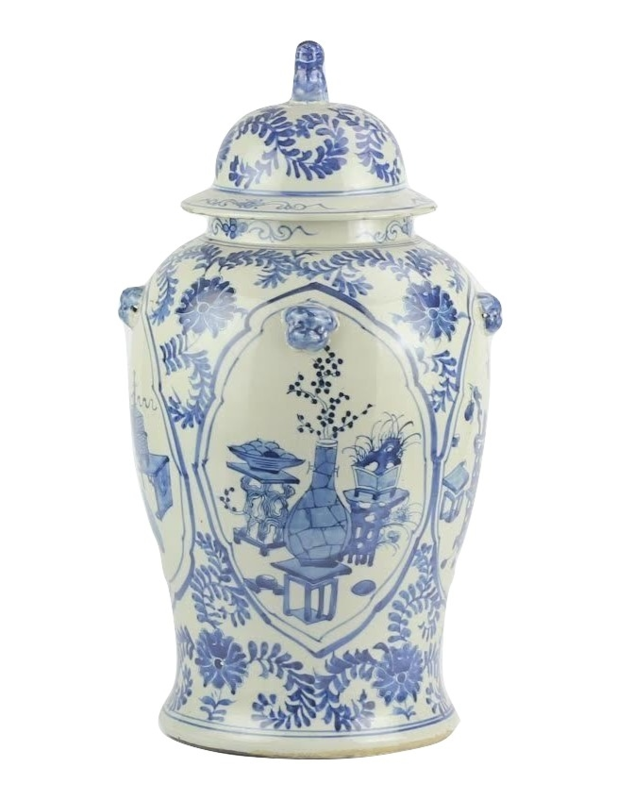 I love all of the blue and white ginger jars; absolutely beautiful and timeless. The picture of Teddy waiting for a ride on a beautiful day, without a care in the world, is my favorite part of this post! You are missed Teddy! Love the little ginger jar. It is the perfect size to add a splash of blue and white on a small stack of books in an office. I like to imagine being a part of the ‘village’ these jars represent and I want this one for my table! 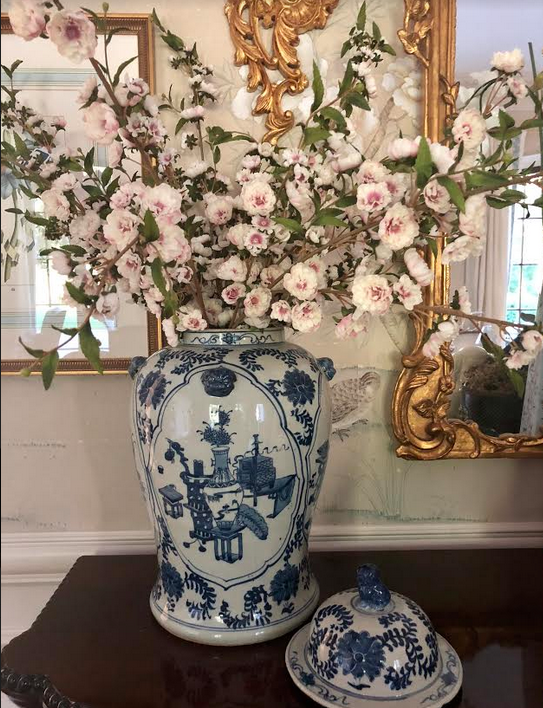 Double Happiness loving all the blue and white!! I love the new blue and white garden seat!!! Oh my…….blue and white heaven!! Always a beautiful collection! I love the rich navy of item #27. A must have for my collection. So many beautiful pieces! Your blog has inspired me to redecorate! Definitely the most gorgeous container yet! Love, love. love it all! I just moved into my home…. I’ve got a few spots just waiting for BLUE! Can one ever have too much blue and white? 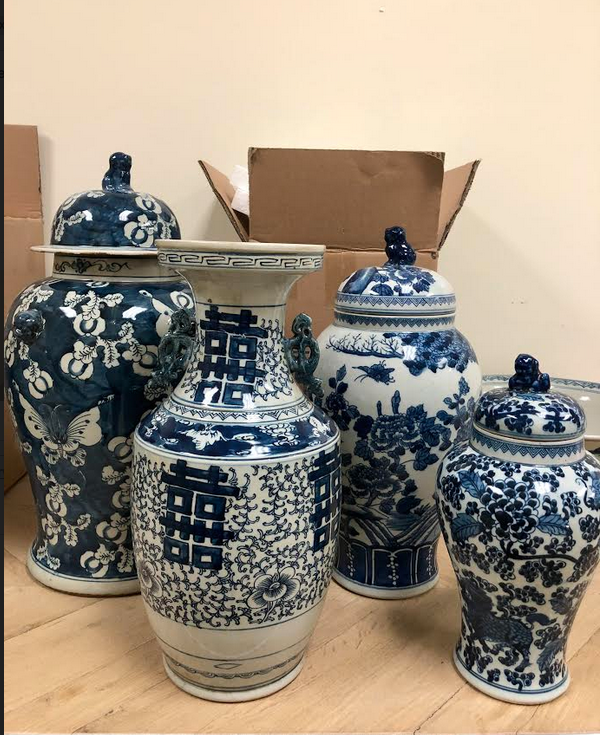 I just received my order of the new small ginger jars. What a great size! Love them. Love all of these items! Especially the wine bucket! How, I wish you were in my home tonight…………. 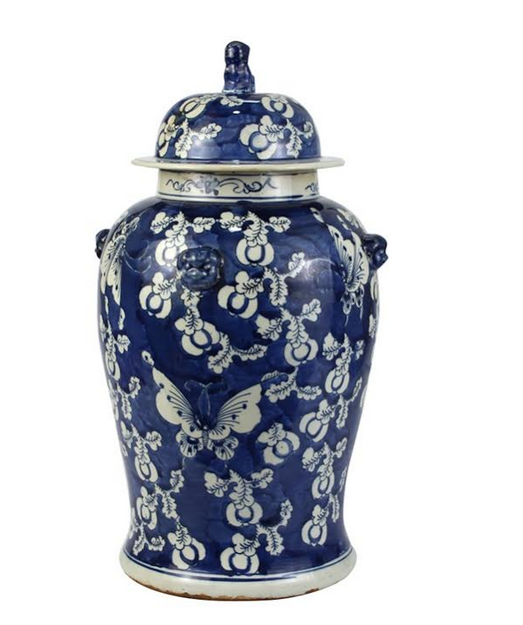 Love the new floral/butterfly ginger jar! Love the blue and white! Each and every one of them is a classic!! about item #3 I’m assuming the measurements are 6 1/2” tall X 9 1/2” diameter? Love love love these pieces! 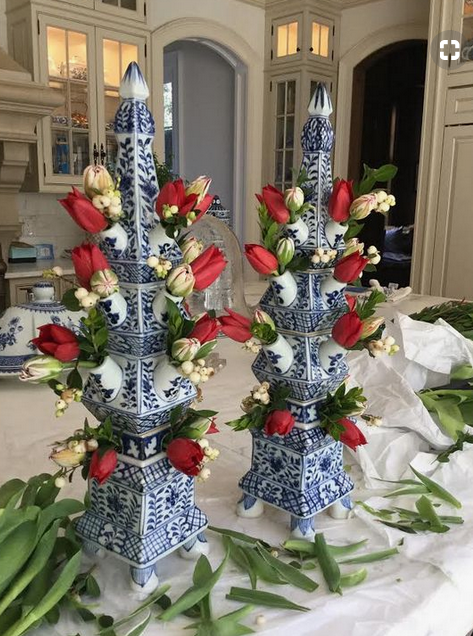 My wedding is in October, and I am doing all blue and white tables and vases, with pink flowers. This jar would go great with them!! Love, love everything on your post! Can’t wait to place my order! Thanks Tina! 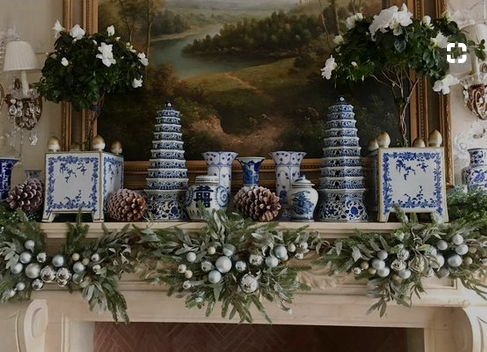 My cottage in Michigan is decorated in various blue and white. These pieces are gorgeous! 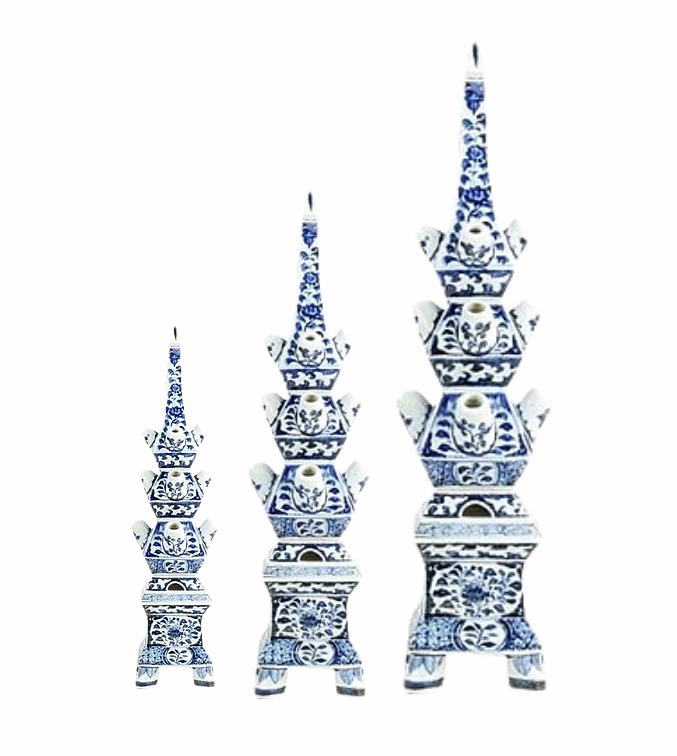 What is the size of the mini pagodas, please. You are my design hero!!! I collect just the animals (no people) and especially the dragon motif on all of my pottery. I would like a straight fishbowl with the dragon or foo dogs on it. Never enough blue and white- the more the better! I love each and every piece! 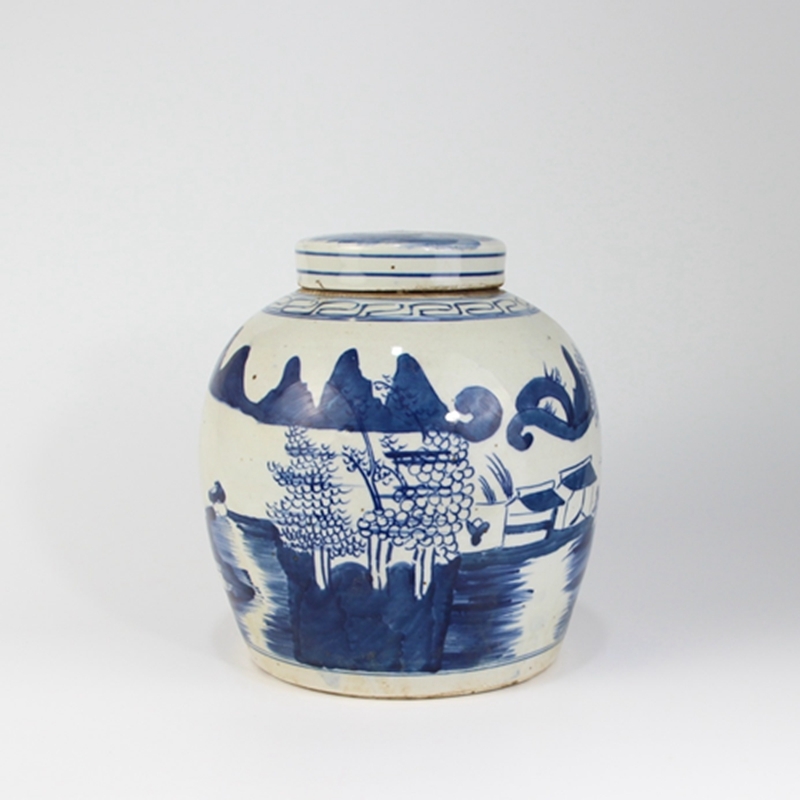 What a great ginger jar – thanks for the high quality blue and white wares. Too many pretty choices, as usual! Still drawn to the ‘antique’ chunkier jars (8A&B & 21), will have to make sure that the new fireplace mantle is deep enough to accommodate a pair! 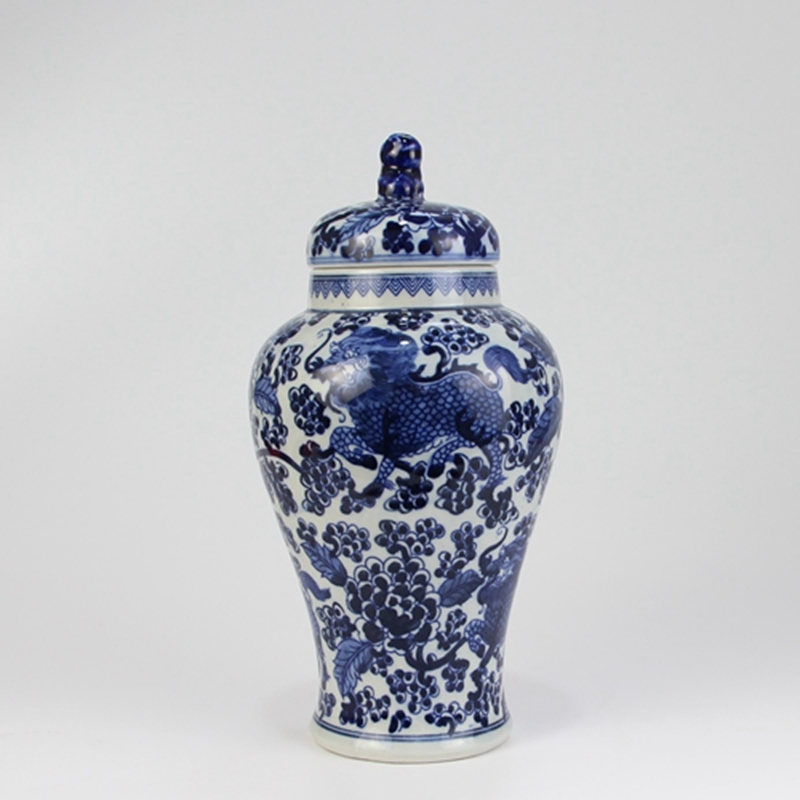 I’m a true lover and collector of blue and white porcelain. Can’t wait for my new items to arrive. Love your site! Hi, Tina. 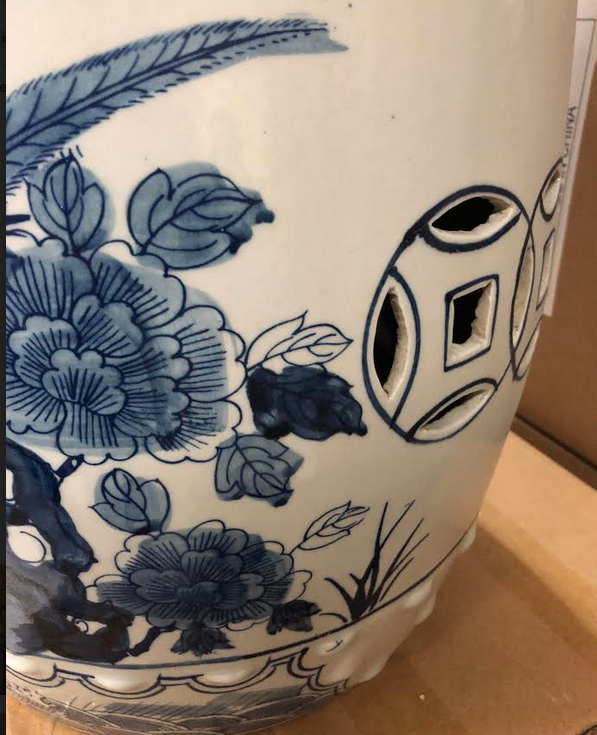 How tall is item 24, the double happiness vase? 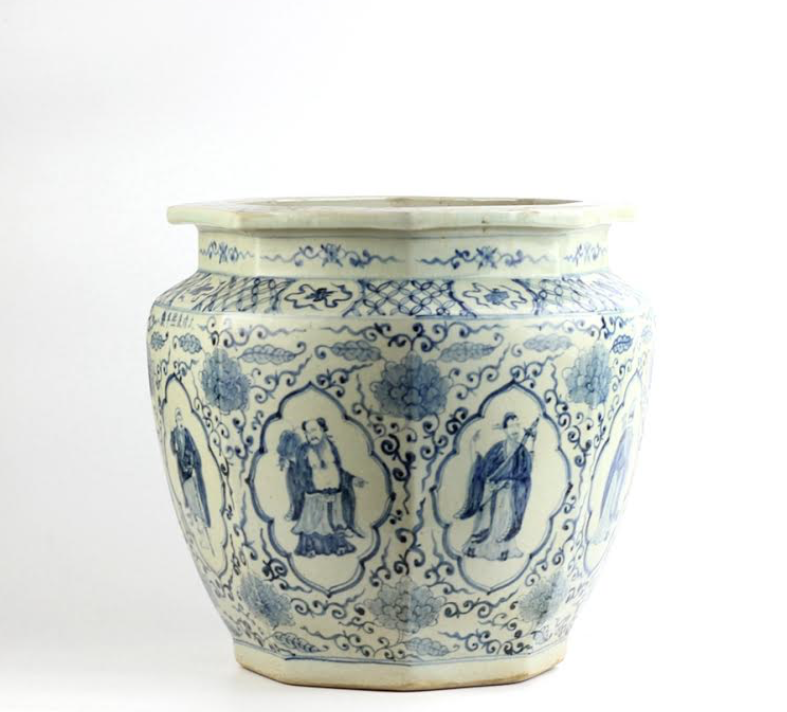 I have been coveting the Ralph vase for quite a while now. I am happy to say that I finally made the purchase and it will arrive tomorrow. I am very excited as I have the perfect place for it. Beautiful blue and white! My favorite! 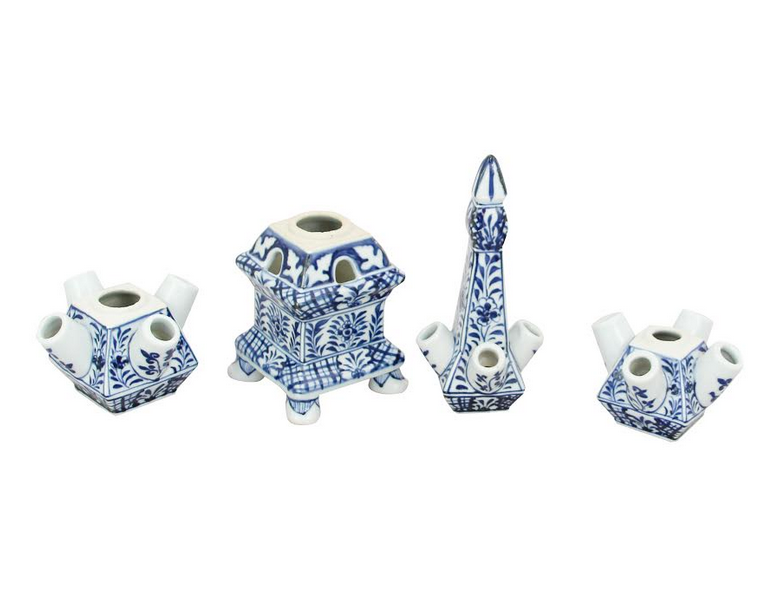 People say that you can’t live without love…I think blue and white porcelain from The Enchanted Home is more like it! Seriously, I’m dying over here. I want EVERYTHING! Your porcelains are absolutely fantastic! The most beautiful blue and white ever. And what a variety of shapes and sizes. Love them all. 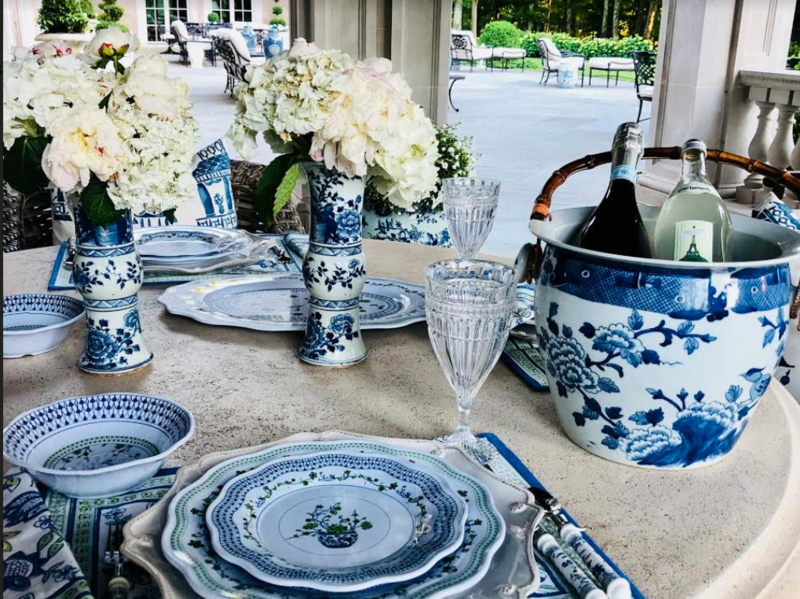 This Blue and White porcelain goes with everything! How nice it would be to have a piece. 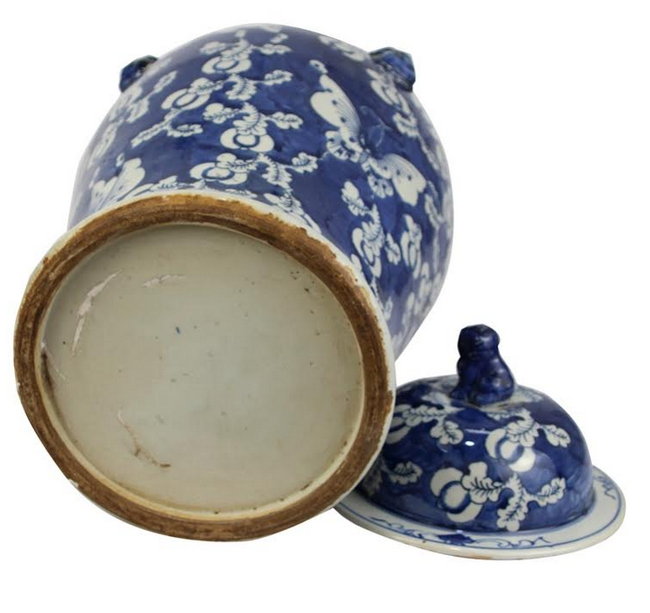 I absolutely love blue and white and so enjoy looking at the pieces you offer. Will be ordering soon, currently redoing my bedroom to accommodate some pieces. Love all of the fabulous blue and white!